Blog - Page 3 of 5 - 1928 Planning Co.
Beach weddings in Michigan are becoming splendid ceremony alternatives for Midwesterners. Here at 1928, we are well-seasoned in beach ceremonies. 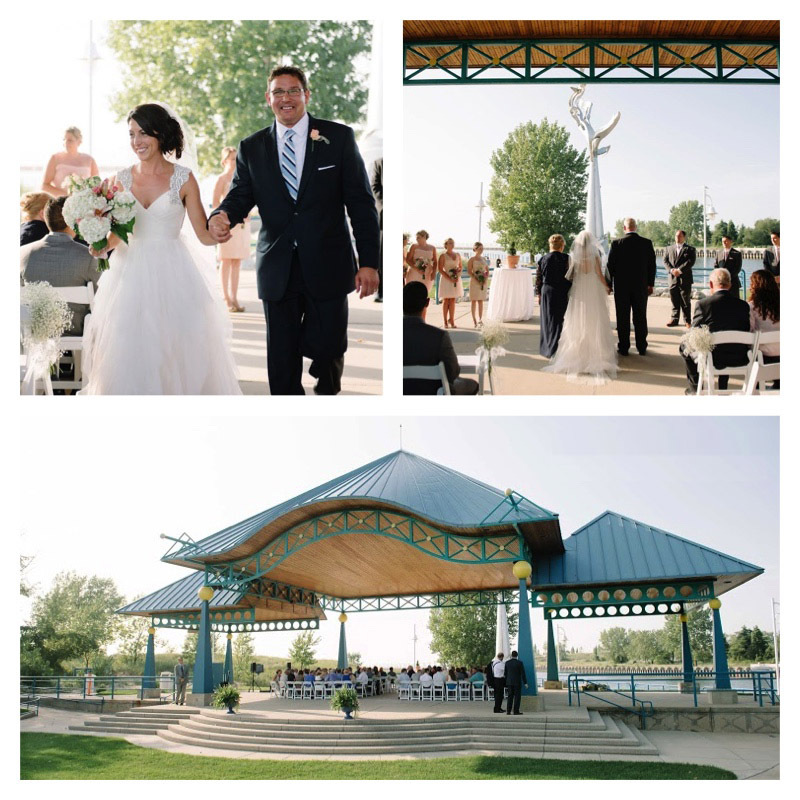 That is why we have created this guide of our favorite beach and pavilion ceremony locations here in Southwest Michigan. We know a lot of our couples are from out of town and want to have a unique wedding along the shores of Lake Michigan, but they don’t always know what to consider when they look. Oftentimes couples forget they need feasible access for their elderly guests, or they forget about a sound system … or the undeniable parking situation. We have started a list to help you start thinking about the best options in the area. 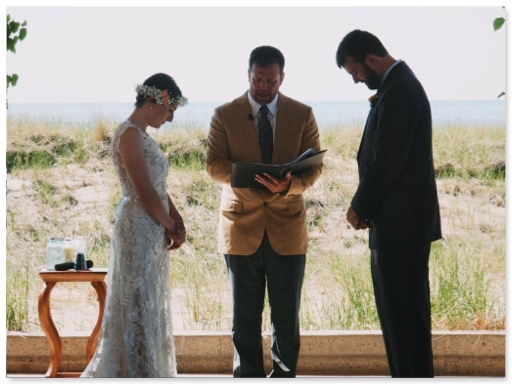 We also offer ceremony planning services, where we attend your rehearsal to prompt cues, provide you with white padded chairs, decorate and tear down your ceremony site for you and be the point on contact at the beach for you, your guests, and your vendors. Why we love it: While it is a little bit of a drive, this is one of our favorite gems. Weko Beach is right off of Red Arrow Highway in Bridgman and it has plenty of parking. The beach is extremely large and seldom crowded for that reason. Why we love it: While the pavilion is not directly on the beach, it overlooks the St. Joseph river and is at the entry point of the St. Joseph Lighthouse. There is a beautiful walkway with sculptures along the river for guests to explore along with the lighthouse. We also love this location because it is under shelter and you don’t necessarily need a Plan B should it rain. There is also an option to put chairs in the grass for unlimited seating. Distance from Saint Joseph: It’s in the heart of it all! Why we love it: Tiscornia is our favorite (and free!) beach ceremony site in St. Joe. It runs along the north side of the St. Joseph Lighthouse and makes for awesome ceremony photos. We also love it because although a public beach, it is typically less crowded than Lions Park and Silver Beach. The only downside of Tiscornia is that the parking lot isn’t massive. We recommend using a shuttle service for a ceremony here. Why we love it: Getting to Jean Klock is a beautiful drive over the St. Joseph river and up a large sand dune. 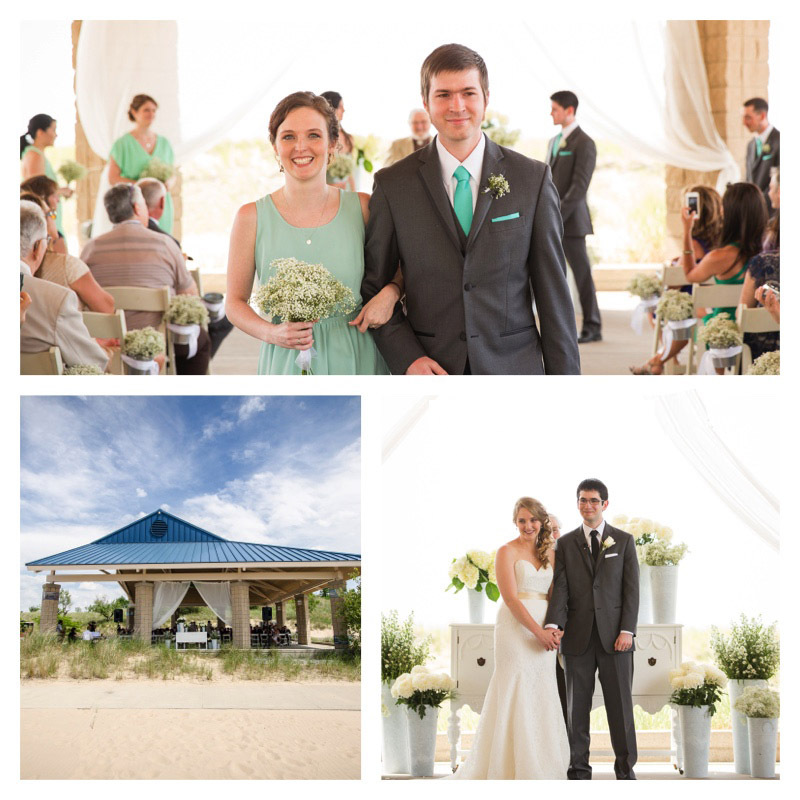 There is a ton of parking and the pavilion offers an option to have your ceremony under a shelter. To have your ceremony on the beach, it is free. The fee for the pavilion below. Don’t assume your DJ will/can go to the beach. Because there is no electricity at most beaches, DJ’s will need to bring in a battery-powered sound system. Be sure to have this be a question you are asking possible DJ vendors. We have also done our fair share of weddings without sound systems – just keep in mind that when it is windy, not everyone will be able to hear your officiant without a mic! 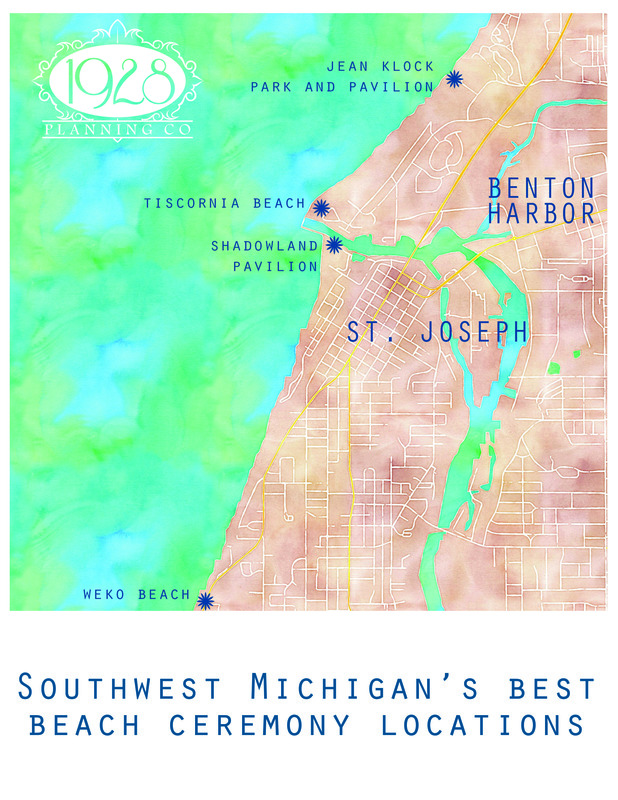 We hope this helps narrow down your Michigan beach wedding site search! There is nothing like dipping your toes in the sand and saying your “I dos” on Lake Michigan. 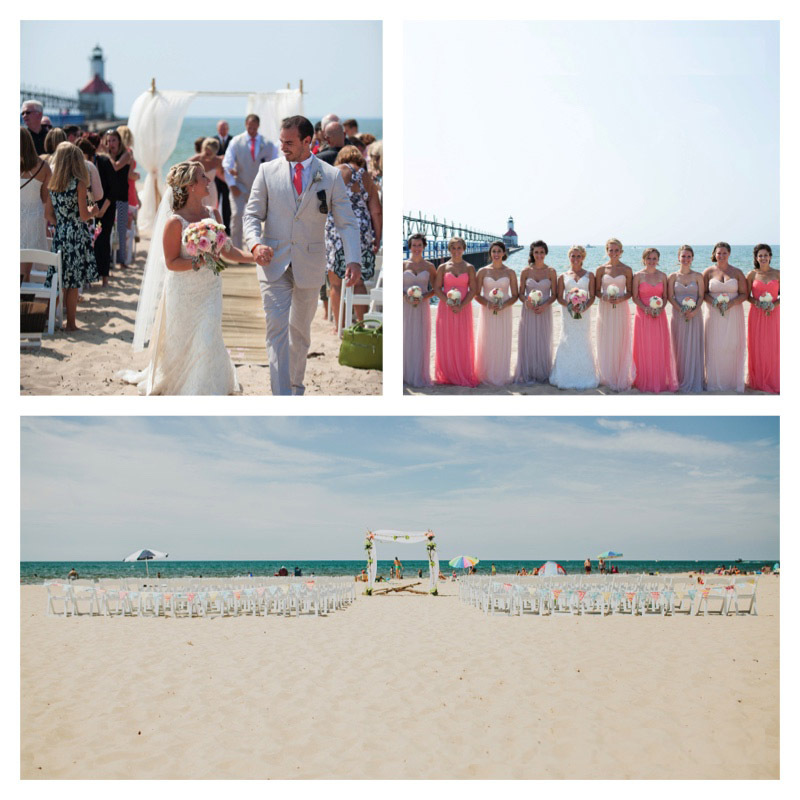 Contact us today to see if we are available to help plan your beach wedding ceremony! Check out our service page here for more info on what we offer! 1928 Planning has seen first-hand the impact that lighting design can have on a reception and believes that the finished product is invaluable. 1928 partners with local wedding lighting design company, Schades of Light to offer front-end communication to clients. We thought what better way for our readers to get to know Schades of Light than to have them guest blog for us and explain in their words the ultimate question: Do I Need Wedding Lighting? How did Schades of Light come to be? In 2008, a mother of a bride asked if I would help decorate her daughter’s wedding. They had two bags full of lights and tulle fabric from a friend’s wedding and showed me how they wanted it hung. I thought, sure I can help out, this can’t be too hard and I got to work. Well, five hours later, a few phone calls to family and friends and a couple of trips to the store, I was done! After receiving payment I thought there has to be an easier way to do this! So the following wedding season I bought my own supplies, setup a process of how to work efficiently and we’ve been at it ever since! What local venues has Schades of Light provided services? The Veranda @ The Whitcomb, The Boulevard Inn, Shadowland Ballroom, Blue Dress Barn, The Vineyard @ 12 Corners, Hidden Vineyard, and Harbor Shores. Every event is a happy one! Each one is different and unique in their own way and I love getting to meet the bride and groom and their family. What would you say is your favorite part? Seeing the finished product! I love going back just before the wedding starts to see how everything came together. Some couples don’t see a need to have lighting at a reception. Make your case. Why is it important? In the summer months (our busiest season), couples often think that since the sun sets around 9:30p that they don’t really need any additional lighting. Although the sun is setting late, only on a perfect sunny day will you have a lot of natural light. What about cloudy, overcast, or rainy days? 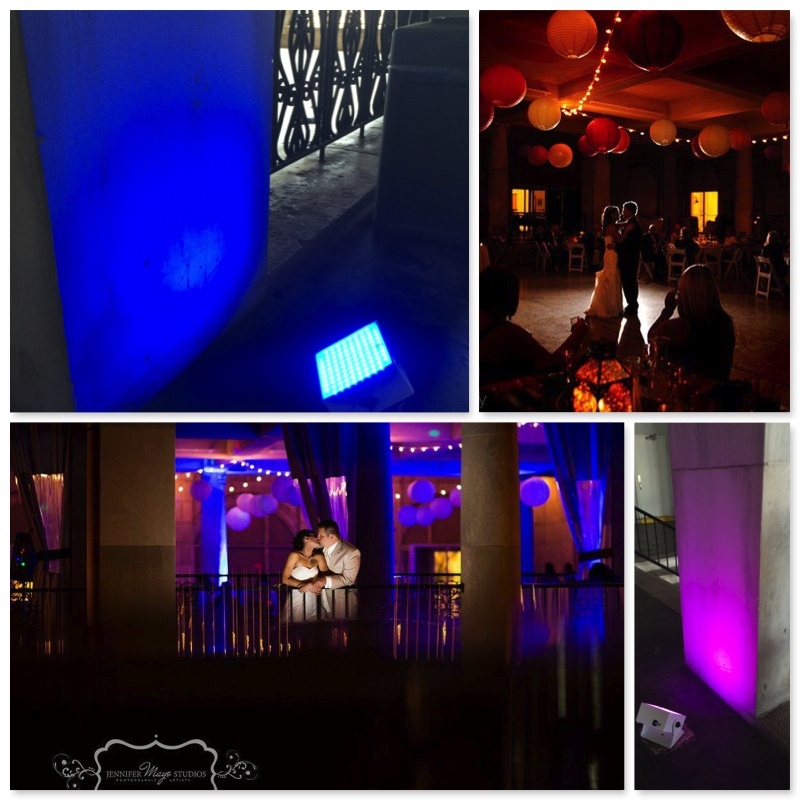 We try to avoid turning on any permanent lighting in a venue because although it is functional lighting, it just doesn’t have the ambiance that most couples are looking for. Some couples will also say they have a lot of candle light planned for their tablescapes. What if it’s a windy day and the candles can’t stay lit? Local venues that have a separate lounge area are usually dark, and by adding a few stands of café lights it’ll make the space welcoming for guests and add a safety factor too. For someone who knows their venue needs lighting but doesn’t know how to get started choosing what will work best, what would you suggest to them? Gather pictures – either inspiration photos online or from another source so we have a clear idea of what they are looking for. We show them pictures of the venue from other events with lighting options to give them a realistic view. Most of the time the venue is empty when they view it and that makes it hard to visualize the space all decorated. That’s what we are here for – to help you see your ideas! Paper lanterns. We offer a variety of color options to our clients that typically match their color schemes. It’s more of a casual look and complements most venues. 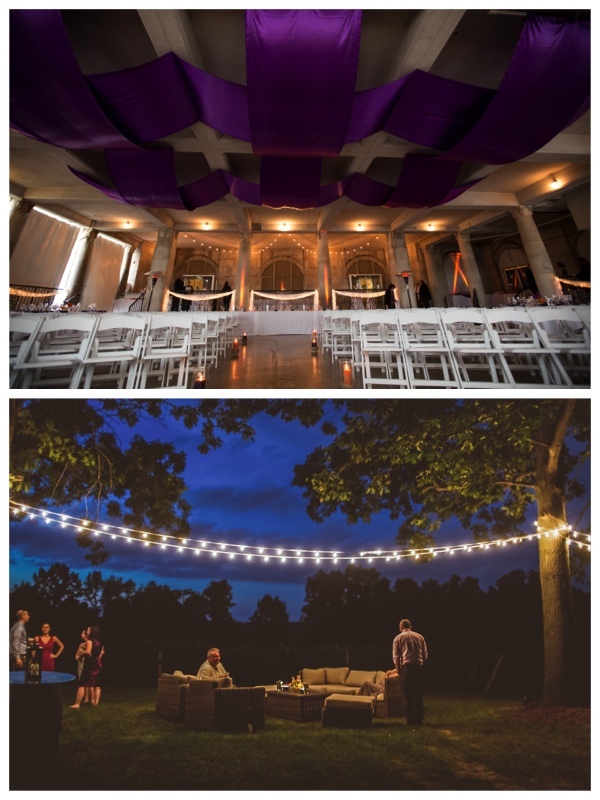 Where do you see wedding lighting design going? A move towards simple elegance, using lights, fabric and chandeliers. We recently added a group of chandeliers to our services! 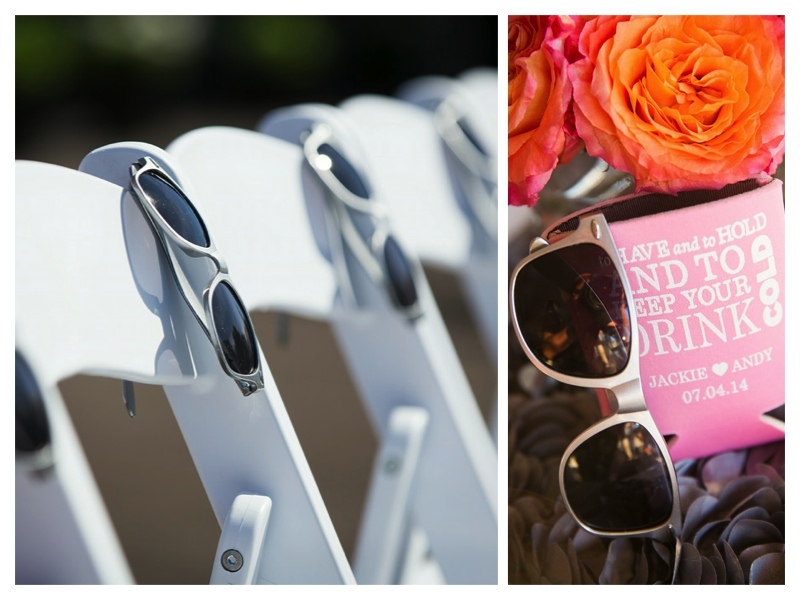 We are super excited to begin offering them for the 2015 wedding season! Anything else you want to share your expertise on? What we often hear are brides and grooms wanting to save money and purchase their own lighting decorations, install and tear it down themselves. It usually takes a lot more time than they think – time they could be enjoying their big day. At the end of the night they really don’t want to worry about tearing everything down, especially after a few drinks! With our pricing, we include not only the inventory but the setup and tear down. You won’t have to lift a finger! 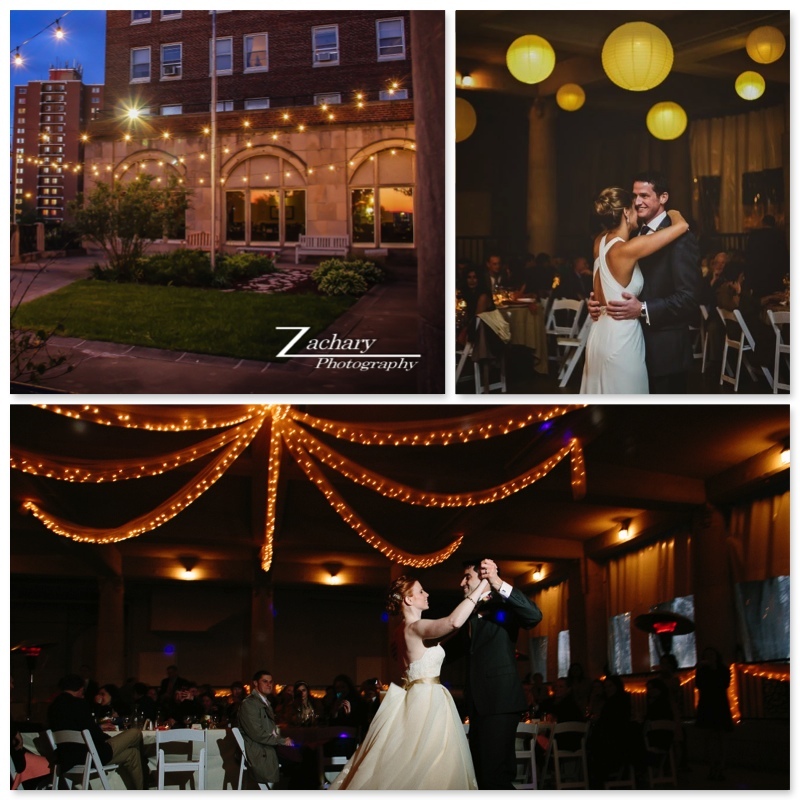 For more on Schades of Light and how they can be a part of your wedding day, contact us! We all love catching up on wedding trends for the upcoming year – it’s something we look forward to and gets us excited to think about what our clients might debut for the weddings ahead! It’s that time again – welcome to our post on 2015 wedding trends! Some are new and fun, while others are trends that have been around and just aren’t saying sayonara anytime soon. In 2013, the #1 word engaged couples used to identify their wedding was FUN! In 2015 they are using the phrase “down to earth ambiance”… seen in their florals, food, color schemes, and guest experience. Organic looking tablescapes with free-spirited arrangements are trending for 2015. The move is towards a wild-garden look with more than one color or type of flower. Utilizing non-floral items – such such as berries, fruit, acorns, etc. 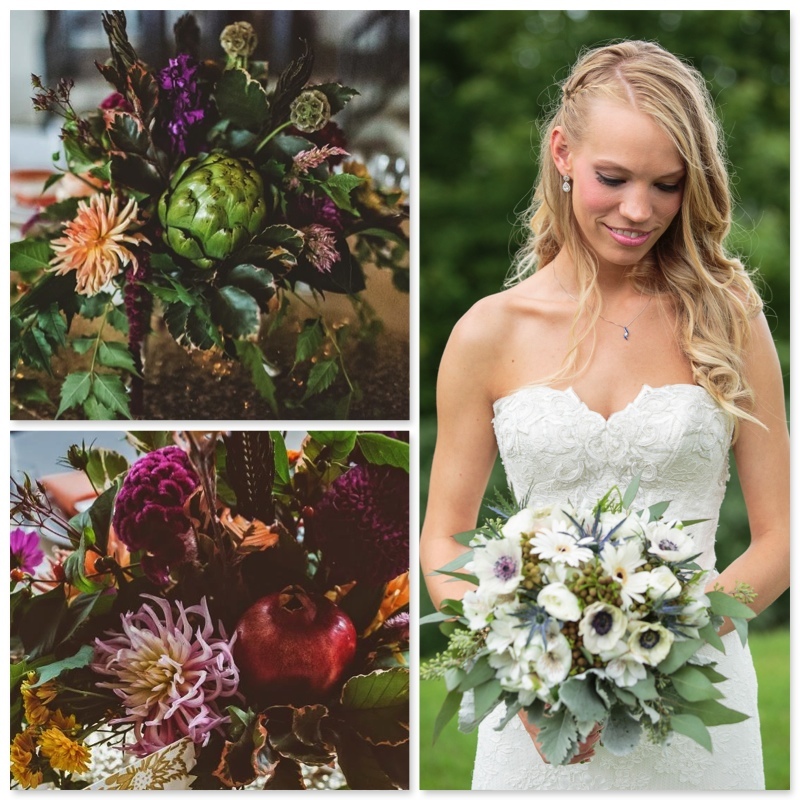 We witnessed centerpieces in the fall of 2014 filled with accents of artichokes and pomegranates. Fresh pickings from a farmer’s market or local grower. It’s not only budget-savvy, but it also lends itself to the trend. Food pairings with beer or wine. 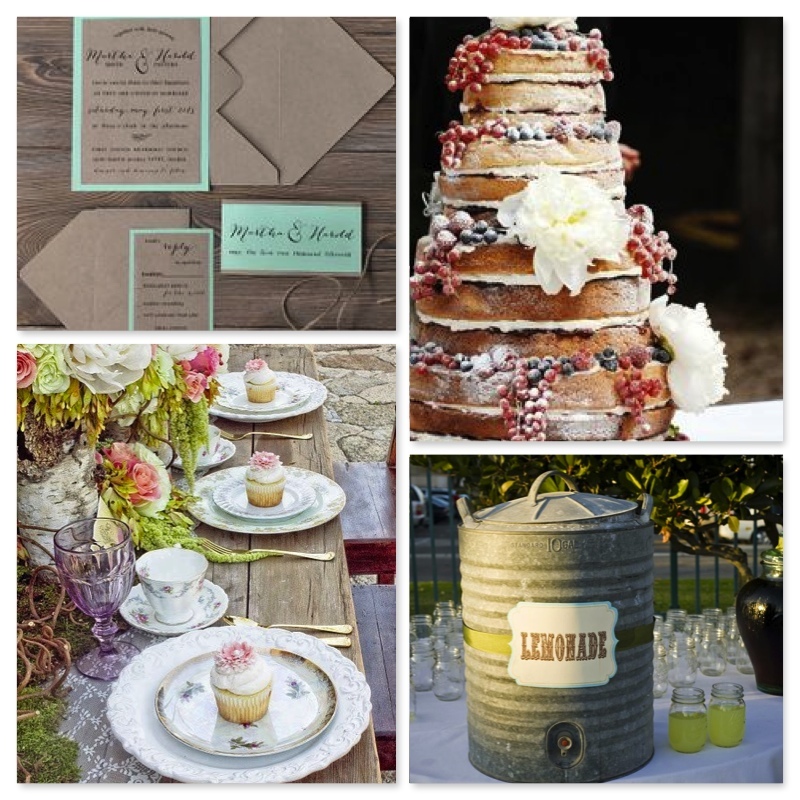 Local wine or craft beer complimented with delicious bites – what could be better than this 2015 wedding trend? Family-style dining. The guests feel comfortable and at home, passing delicious food around the table. Guest interaction is a big goal for today’s couples and nothing gets a conversation started quite like this style of service. Family style is acceptable for casual and more formal receptions. Locally sourced and seasonal food. Late night snack attack. Give the guests an extra element of surprise near the end of the evening with another round of food. The late night snack tends to make it’s debut around 9:30p at receptions. This time of night you’ll be craving snacks and comfort food. Treat guests to a build-your-own coney bar, sliders and fries, pizza, and quesadillas. You’ll want something that can be versatile enough for all of your guests to enjoy. Fondant wedding cake vs. buttercream wedding cake. The trend is headed away from the fondant extravaganza and instead showing off a more textured cake using buttercream. Your possibilities are endless with buttercream. 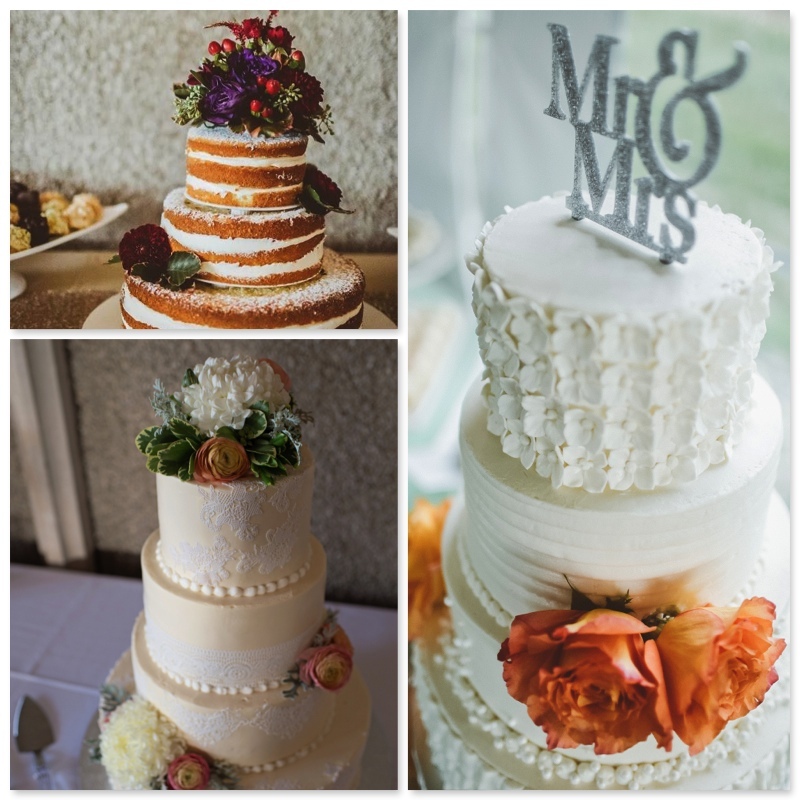 We’ve seen tiered cakes that offer a different, but complementary, design on each layer. Of course we can’t forget about the ‘naked cake’ that has been trending too! Bold colors and non-traditional color combos. 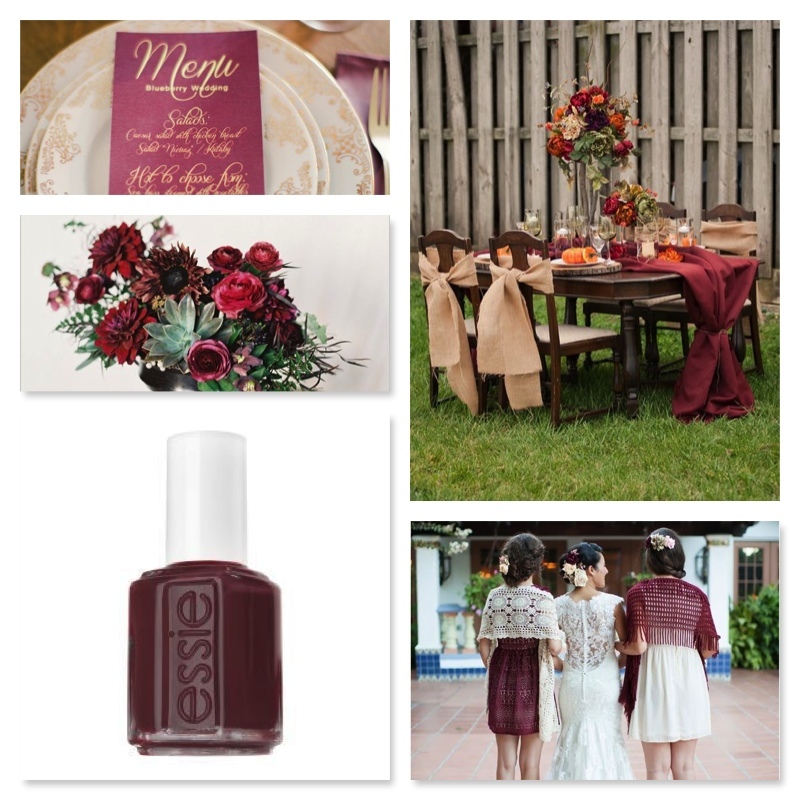 Pastels and neutrals aren’t necessarily done for, but the use of a bold or unexpected accent color is something we will see quite a bit as a 2015 wedding trend. 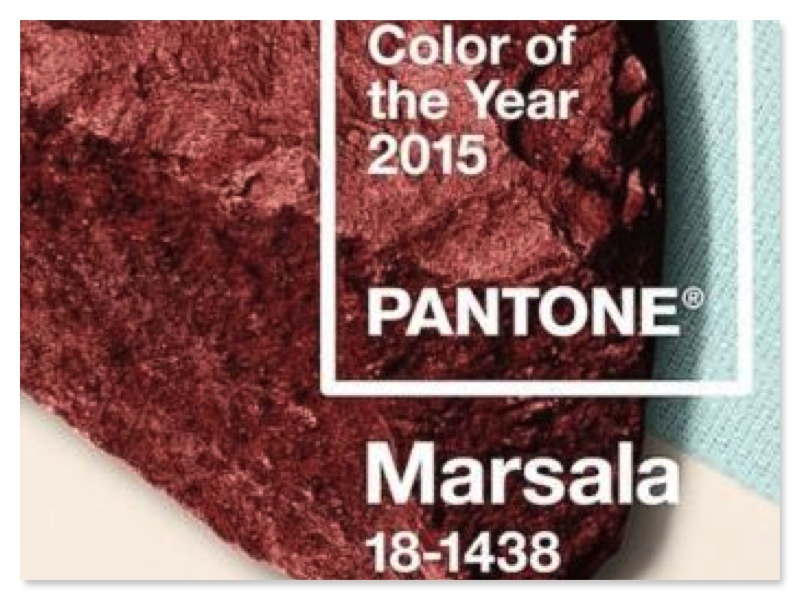 We are sure Pantone’s 2015 Color of the Year: Marsala will make its mark, especially in the fall of 2015. 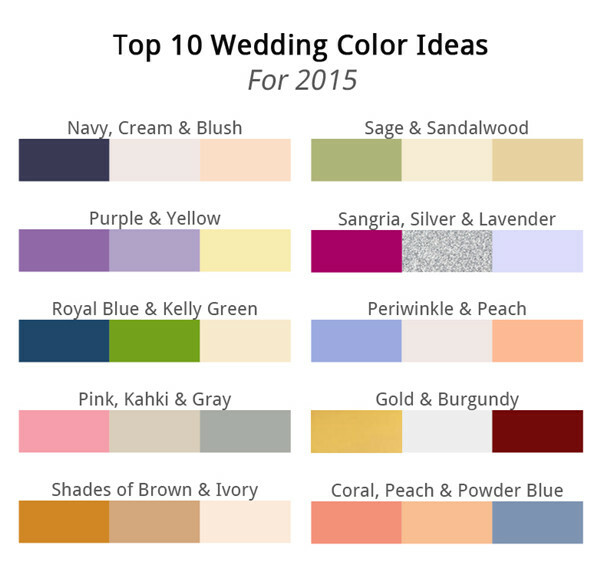 Below are the Top 10 Wedding Color Combos for 2015 courtesy Stylish Wedding Ideas. With the average wedding sized around 140 guests (smaller than past years), couples are wanting to create an experience from beginning to end. Build up the excitement long before the big day with a wedding website or some fun and unique wedding invitations. Since invitations are the first impression for your wedding, make it count with something unexpected that will grab attention and add a wow-factor. The goal is to build the anticipation long before the actual big day. Give thank you’s as they exit rather than just a favor at a place setting for them to grab. We think this is a great trend for 2015. We’ve seen too many favors get left behind at the dinner tables! If you’re wanting to give guests a takeaway and have the room in your budget, make sure they aren’t left behind! Offer transportation to accommodate your out of town guests. Buses or trolleys are popular to shuttle guests to and from hotels, allowing them to just enjoy the evening and leave their GPS back at home. This is a biggie: keep in mind guest comfort. 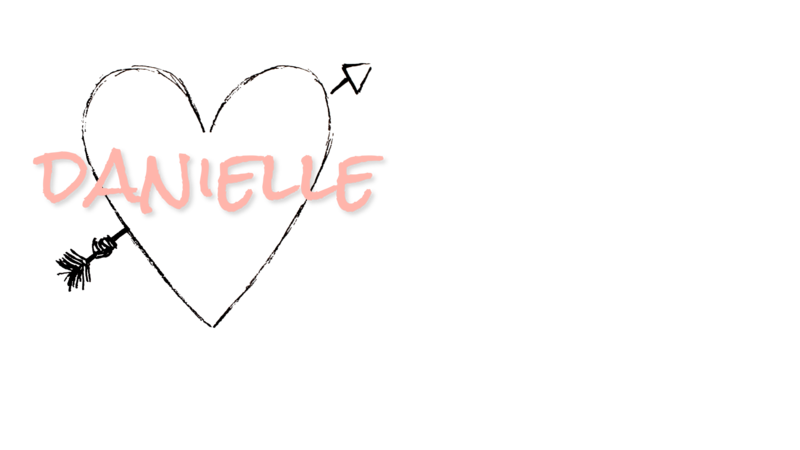 Recently we wrote a blog on Creating Your Signature Wedding. One of the best things you can do while planning is to think about the experiences and comfort of your guests. Consider all angles: hot or cold weather, hungry or thirsty guests, how to manage a kid-friendly reception and thinking about the flow of your wedding timeline. For more on what’s trending – contact us! Giving tribute to loved ones on your wedding day is filled with such meaning because chances are, those in spirit made an impact on your life. 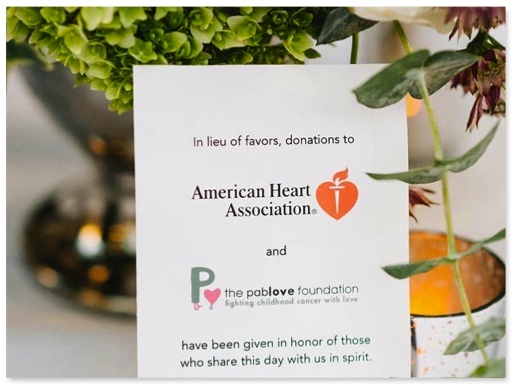 Coming up with creative ways to remember and honor them on the wedding day is what this blog is all about! It’s okay to keep it as simple and subtle or as bold of a statement as you’d like. Check out some of our ideas below to get you started thinking! We’ve seen brides get creative on how they display sentimental items as a wedding day accessory! 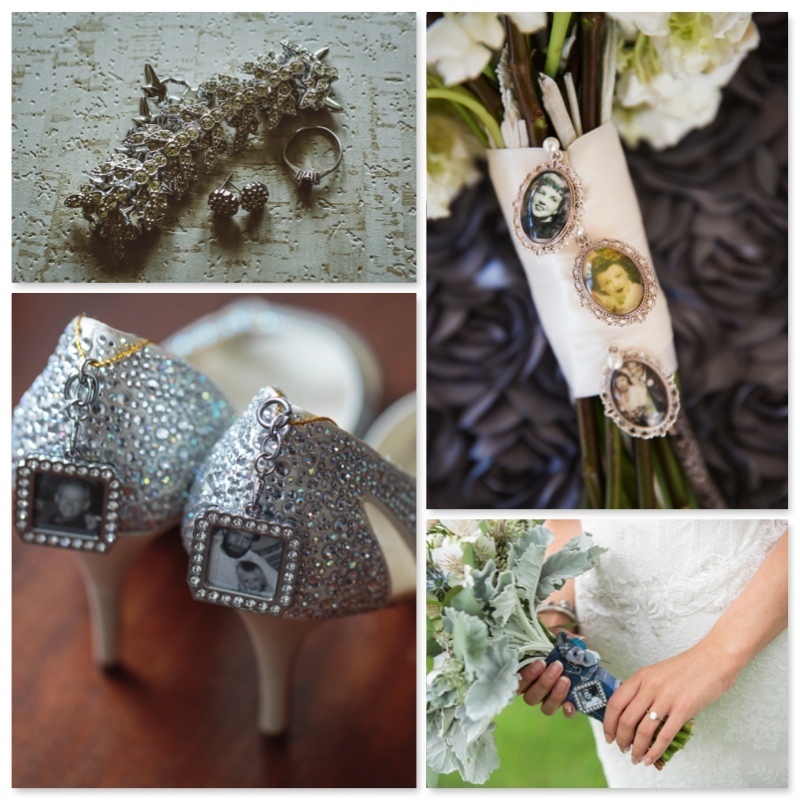 Pin small photos to your bouquet or shoes, wear their jewelry as your “something old” or add other jewelry, hair pins, or special pieces to your dress that remind you of a loved one and make their memory physically present for the big day. 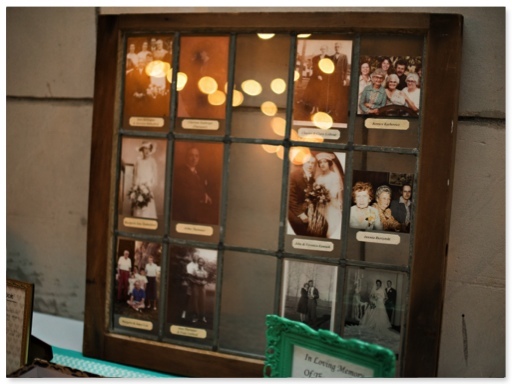 A popular take on commemorating those not present on your wedding day is a memory table, complete with photos of late loved ones on display and a lit candle. This table often becomes a talking piece amongst guests as they arrive and will not be overlooked. Dedicating a portion of the wedding ceremony to those not present is something that can be done in a number of ways. Start off the ceremony with a moment of silence, recognizing those that are not present. Add a tribute section found inside the ceremony program. Save them a seat at the ceremony marked with a loose flower or photo. This can be done during the ceremony, reception or both! We have also had the song selections for the traditional father/daughter and mother/son dances be a tribute to a parent that has passed. Most caterers will be flexible and make something not on their standard menu. Provide the caterer with a famous family recipe that will remind guests of a loved one whose passed. It’ll be the focal point of your menu. Choose to donate to a charity close to a late loved ones heart in lieu of favors. For more ideas on how to honor loved ones on the wedding day and so much more, contact us! Having a DIY wedding vs. hiring a wedding professional … probably one of the most ongoing thoughts and debates in a couple’s mind throughout planning. Even as planners, sure, we think there is nothing wrong with doing a little bit of DIY for your wedding. After all, you want the day to speak of all things YOU and who you are as a couple. And what’s a better way to do so than utilizing your own skills, right? Will going DIY result in the overall guest experience as a good one or a bad one? For this particular task, why do I think doing it myself is the way to go? Does your answer seem reasonable? Money aside, how could we benefit from hiring a wedding professional for this task? Hiring a trusted wedding professional: DJ, photographer, videographer, baker, florist, alcohol supplier, lighting vendor, etc. will bring you peace of mind. They have most likely been in the industry for years, if not decades. They know what is trending, what works and doesn’t work, and they can offer experienced advice on how to make your wedding exactly as you hope it to be. DIY can mean anything from making your own guest takeaway favors, desserts, and centerpieces to hiring your cousin to DJ and uncle to act as videographer during the wedding ceremony. 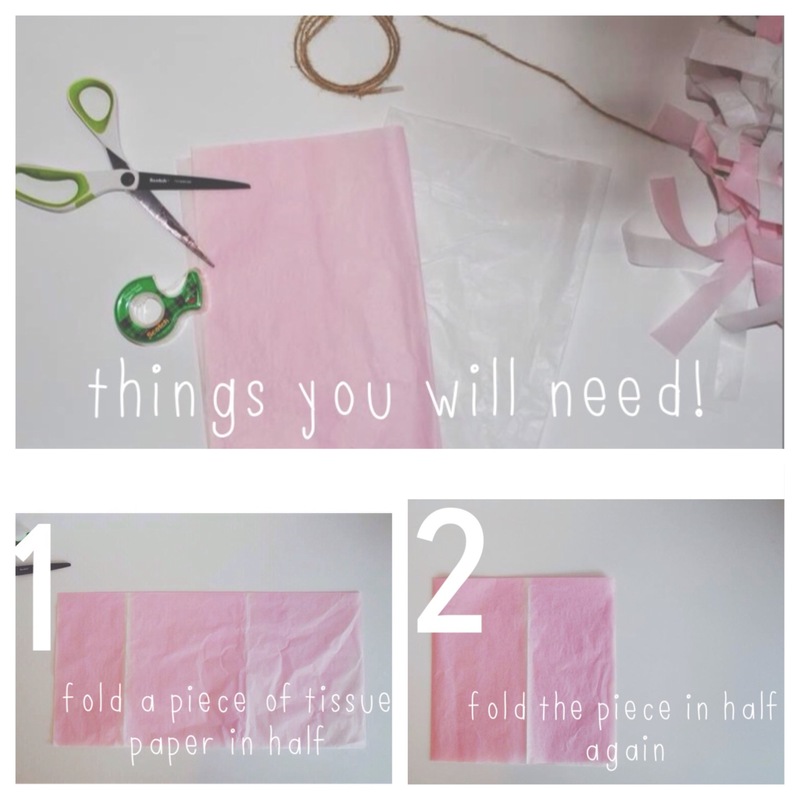 As planners, we suggest leaving the big items to the pros and you can express your DIY side on the smaller, less stressful and time-consuming elements of the wedding. You’ll keep your cool and not have the pressure that you may otherwise have if you put too much on your plate during planning and the day of the wedding. Example: grab your bridesmaids for a night of prepping wedding guest favors or recruit the bakers in your family to make bite-sized desserts to accompany the wedding cake you hire from a professional. Organize your wedding budget so you can confirm what you’re able or wanting to spend in each vendor category. Check out our helpful post showing a budget breakdown if you’re just getting started. Of course, contact us with questions, or if you’d like our company to be someone you hire for the big day! RUSTIC WEDDINGS – 1928 PLANNING CO.
Rustic Weddings have been making their mark in the industry for easily the last few years. But as an engaged couple, eager to plan the perfect wedding, you may be asking yourself, what exactly is a rustic wedding style and what does it mean for me? This wedding style has so many interpretations and no one definition is the same. It allows you to really step outside the box and create your own version of rustic weddings – being a style setter rather than a style follower. Keep in mind that no matter which direction you decide to go, rustic is collective. Find miscellaneous and eclectic pieces that work together to complement your style. With this, mistakes, and imperfections are welcomed and cookie-cutter is nowhere to be found. One of the most easily coined items to fall in the rustic category are mason jars, burlap, and lace accents in a barn setting. I don’t want to call those old-news, but there is SO much more out there! I think every one of my posts encourages you to BE CREATIVE, and this, my friend, is no different. 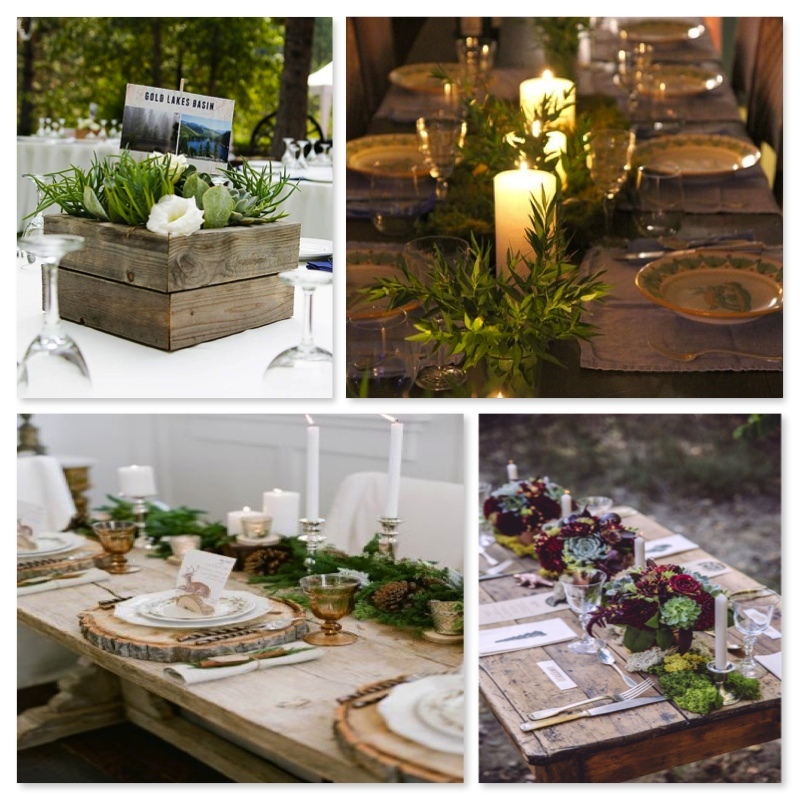 Rustic Weddings – Interpreting it for yourself. Bringing in shades of green and creating an outdoor garden style with moss and branches. Use accents of reclaimed wood and recycled metals. Spiced favors to offer guests. 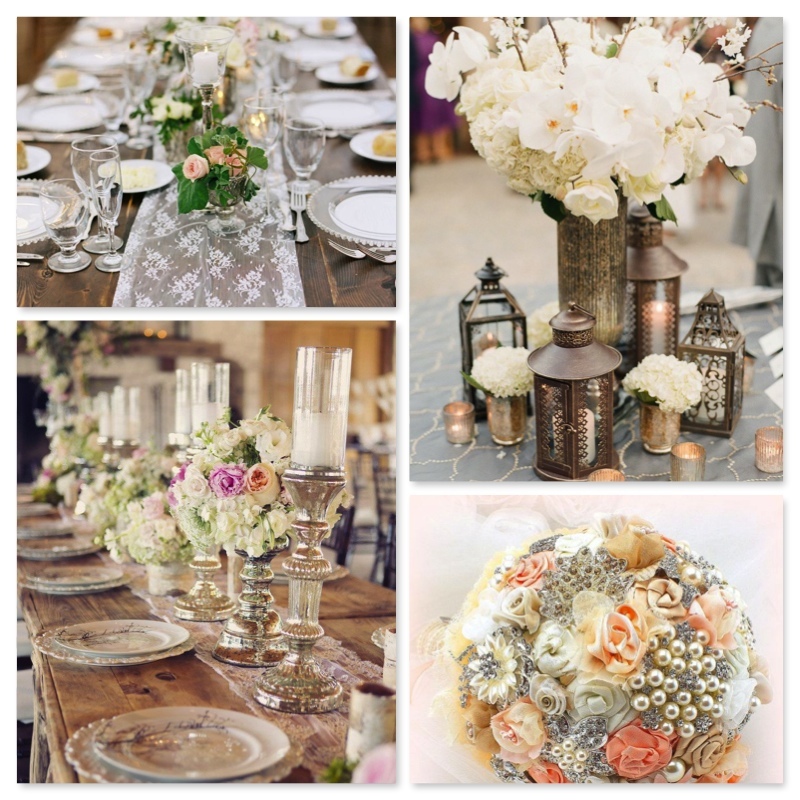 Go more rustic – chic by designing the wedding around mercury glass, pearls, brooches, and heirloom lace. Take it more retro with an ocean blue color scheme, whimsical tableware, lemonade, peach preserve favors and a naked wedding cake. The rustic wedding has boosted the DIY sensation in the wedding industry. With the help of a loyal friend named Pinterest, DIY’ers are able to find a jumping off point for their ideas. Follow us on Pinterest to get some inspiration for your big day! As always, contact us for more assistance! Ever heard the phrase “A Signature Wedding”? Chances are, even if the phrase isn’t ringing a bell, the idea behind it is something every engaged couple strives to have on their big day. Designing a signature wedding means creating something as custom, unique, and distinct as you and your beau are. It’s putting a little piece of both of you in most all aspects of your wedding design, decor, and theme. Doing so creates a lasting impression with your guests and a memory of an outstanding night, long after the wedding is over. Just remember, memorable doesn’t always have to mean expensive! I always say, it’s the little things that matter most, and are appreciated by your guests, so don’t miss the opportunity! Merge the two of your styles together to create a look that speaks volumes. (tips on how to add a masculine touch to your reception). 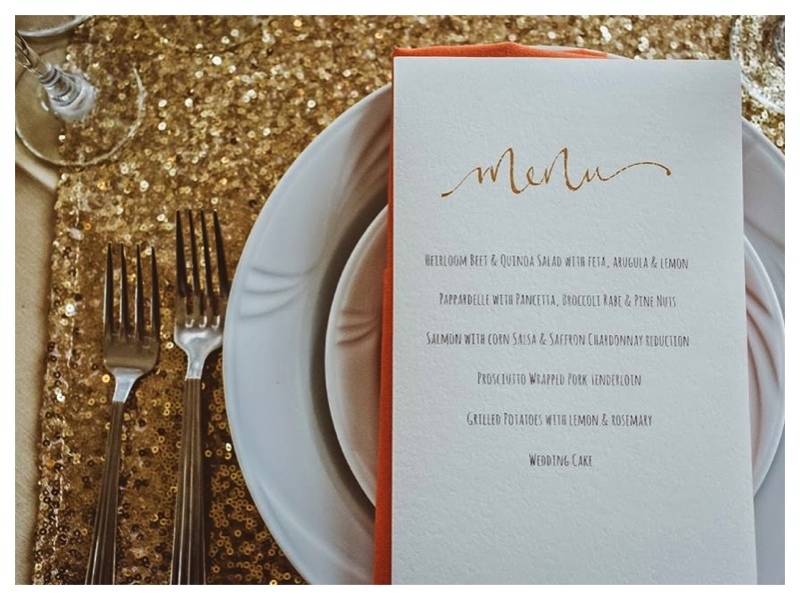 With a signature wedding, your design should be consistent throughout the planning, from invitations, to fashion, signage, florals, linens, rental items, and everything in between. No matter how on top of things you are throughout your planning, it’s understandable that some items can be overlooked. With our experience, we’ve unveiled a list of the Top Five Forgotten Wedding Planning Details. Nailing the ‘guest comfort’ piece at the wedding is a sure way to add a notch towards designing a signature wedding. While planning, in the back of your busy brain, always keep in mind guest comfort – and perfecting the overall guest experience. HUNGRY OR THIRSTY? 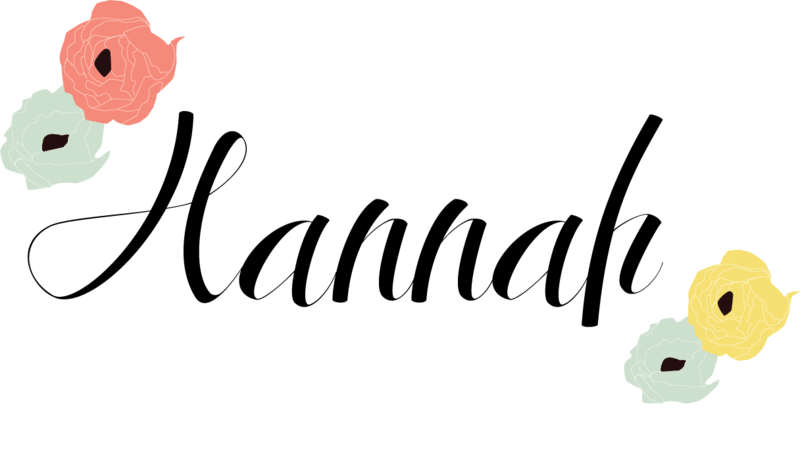 Offer hot or cold drinks, (non-alcoholic, or with a twist), and small snacks in the odd times of the wedding day timeline. INVITING KIDS TO THE WEDDING? Create customized kids packs to keep the kiddos occupied and the parents enjoying themselves. 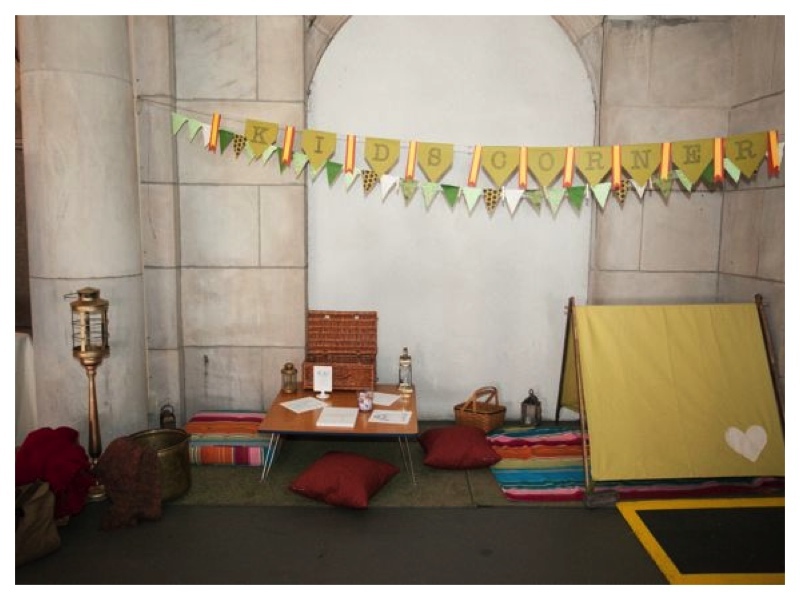 Check out our popular blog on how to manage kids at a wedding reception! We’ve all heard the term “signature cocktail” as part of your bar experience at the wedding. It’s something so simple to offer, and with a quirky drink name, it’ll give people the sense that you’ve customized a drink that speaks about you and who you are as a couple. Having a signature wedding is about stepping outside of the cookie-cutter wedding box and producing something one-of-a-kind. It goes without saying that wedding reception food can get a bad rap over the same ‘ole dishes being served from one wedding to the next (i.e. a chicken entree and a beef entree). Why not work with your caterer and design a custom menu that is crafted to your liking and has the items that are important to you rather than selecting a pre-made menu? We love giving kudos to CK Catering for always working with couples on their menu planning and customizing a dinner course that speaks their personality, taste buds, and budget. It’s never too late in your planning to add a signature element or two. Start brainstorming now on what you can do to personalize and contact 1928 Planning if you want to hear more! Opting to create some of your own wedding decorations is a valuable way to cut corners off of pricey wedding costs. We are thrilled to announce that this is the first installment of a new DIY decorating series on our 1928 blog. 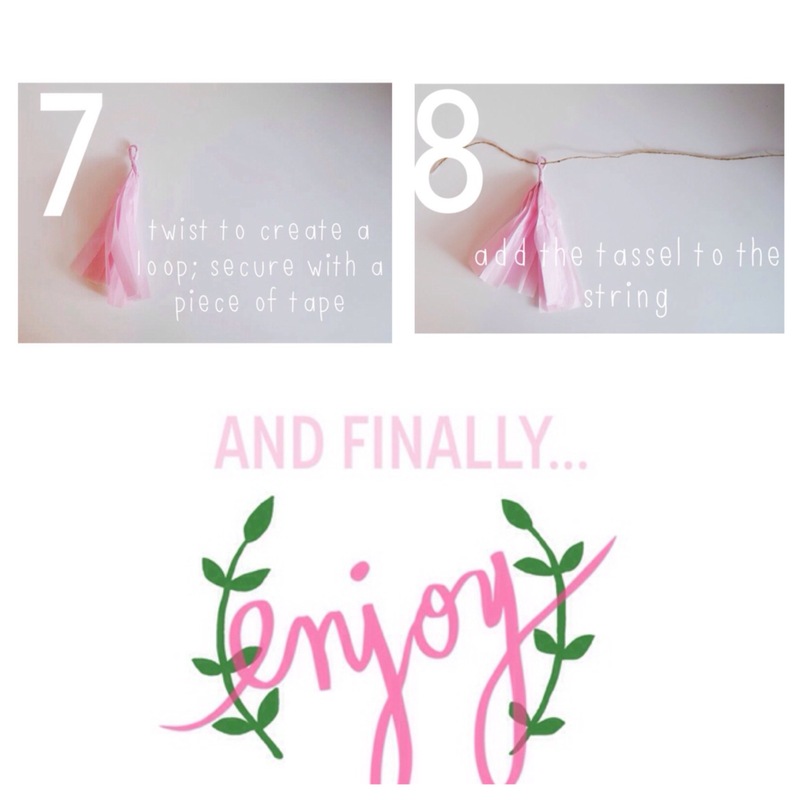 Here we are going to show you how to make your own tissue paper tassel garland, which has been a popular enhancement in weddings this year! The garland is perfect to use as a photo booth backdrop, pin to the front of a dessert table, or jazz up a vacant wall- the opportunities are endless. 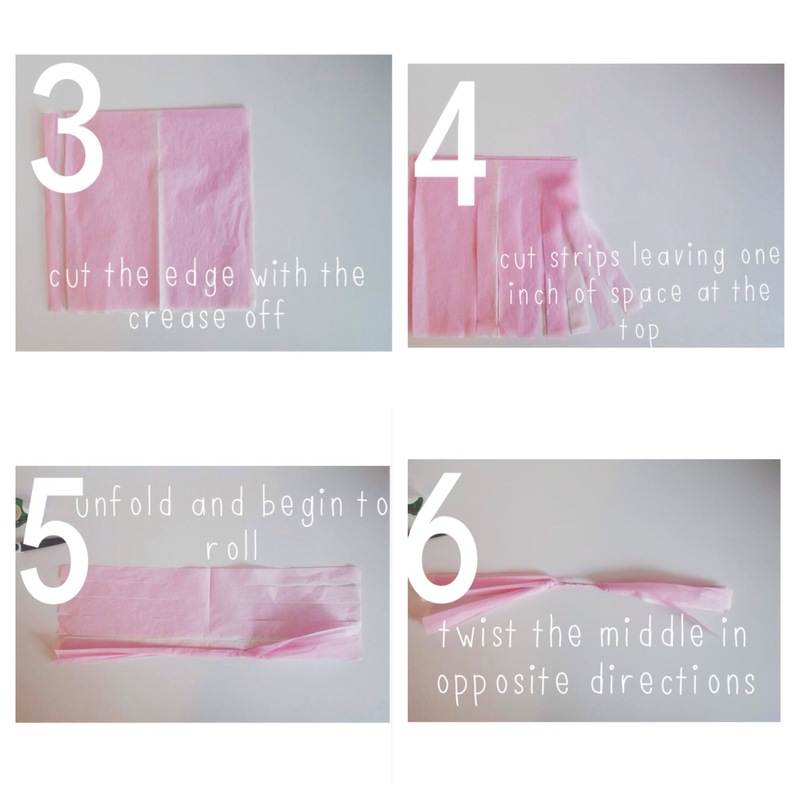 Follow our instructions and you are one step closer to dominating your DIY wedding! The first days and weeks after the engagement can be a stressful time for brides and grooms. Don’t know what step to take first in the wedding planning process? Follow this quick list to get the major decisions out of the way, so you and your sweetie don’t resort to eloping due to post-engagement planning shock! This one is pretty straight-forward. Sit down with your fiance and family (if they plan to help financially) and know each others’ monetary limits for the wedding. You can’t start shopping until you know how much you have to spend. Once you know your wedding budget, do a few quick calculations to see how much you should be spending on each vendor. Check out our previous post here, to get breakdown percentages to guide your calculations. Make sure everyone paying for the wedding is on the same page before moving forward. This wedding planning step comes with great relief. Once you pick your venue and date, other logistics and wedding planning pieces become easier to tackle. You can’t book a DJ, photographer or caterer until you have a date. And you can’t secure a date until you chose a venue with that date available. Depending on how long your engagement is and the time of year you are planning your wedding, you may have to adjust the location if you have your heart set on a certain date (or vice versa). Here in Michigan, our peak season runs mid-April through mid-September. Many venues are only open for those months, so know your options and consider a Friday or Sunday wedding. We might be a little biased on this subject, but we have also had our fair share of experiences at weddings without a wedding planner or coordinator. We see a lot of unwanted stress and disorder. Many brides say, “ I can’t afford a wedding planner” or “I will just have a friend take care of the planning.” While these are fair and valid options, a wedding planner can save you time and money because they have an extensive network in the business. They are also there to help YOU, without throwing in unwanted opinions. You are spending money on an fabulous photographer to capture the day, and a DJ to get the party started, and many other vendors who you want to do an exceptional job. A wedding planner will be the one to guide all of the pieces together – it can be pretty difficult to get everyone on the same page come your wedding day. We as planners do everything from helping you find vendors, to executing your wildest tablescape dreams. Trying to juggle everyone’s opinions along with all your ideas and wedding checklists can be exhausting. Save yourself the headache of wedding planning and hire a professional, we don’t know of a single bride who has regretted it! There are a few venues that will include a base coordination package when you book. Here at 1928 Planning Co., we have a wide variety of a la carte services, planning packages and a stellar rental collection. 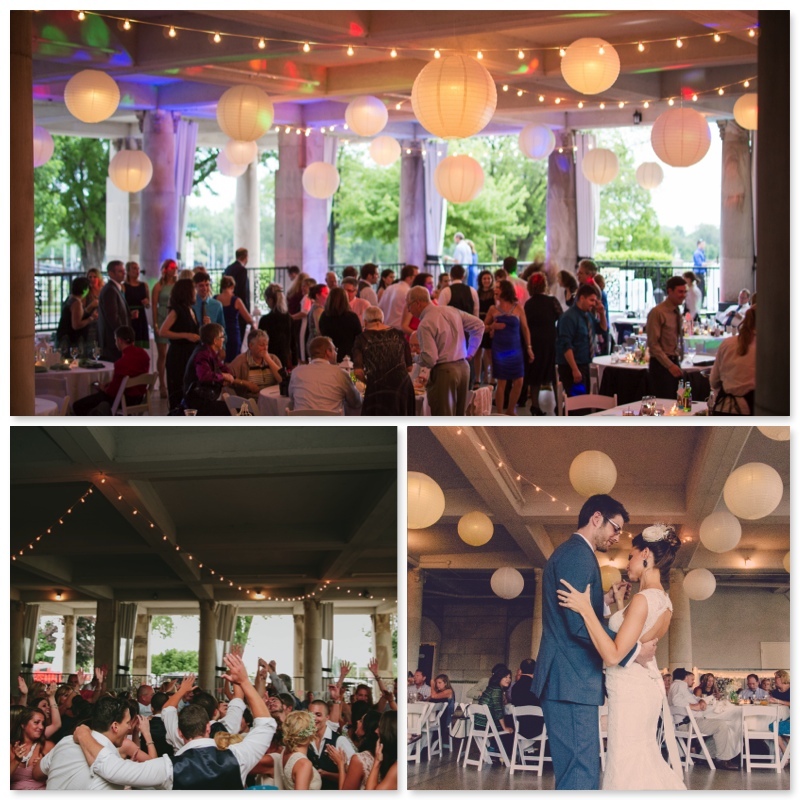 We also provide base coordination packages for these venues in Southwest Michigan. All of these venues also come with exclusive catering by CK Catering. Check them out!